The Snowy Day is my all time favorite book! There is just something about it that reminds me of being a kid. I didn't grow up in the snow. In fact, I really only like the snow if I can be inside sitting by a cozy fire, drinking a mug of cocoa. Its all pretty to look at, but this California girl prefers sand between her toes. My dislike for the cold weather doesn't stop me from teaching about all thinks cold, polar and arctic though. We started off the new year with The Snowy Day and followed it up with The Mitten. We ran out of time last week for my kids to retell The Mitten story using their paper bag mitten and animals, so we will have to work on it this week. We also made my favorite art project, the puff paint snow. 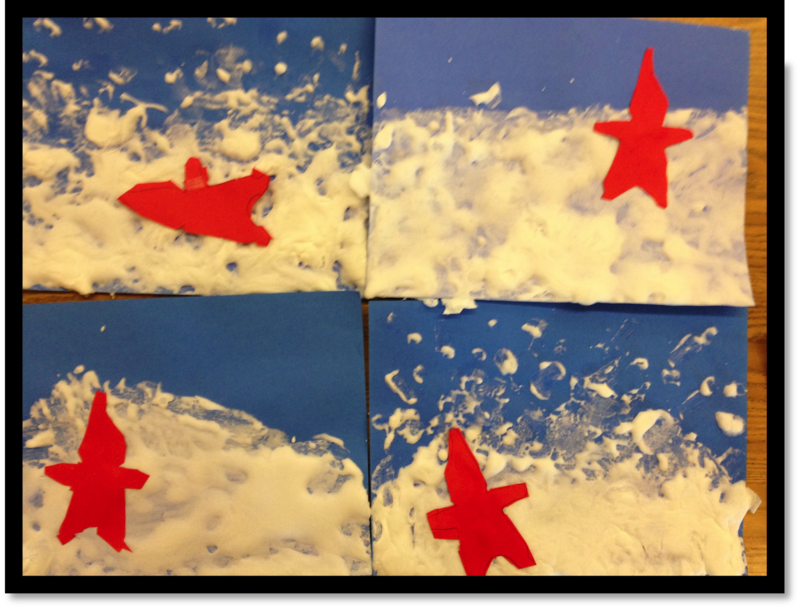 It is so easy to make, just mix white glue and shaving cream. Paint on using a sponge brush and let it dry. The more paint the better. We did this on Friday so it could sit all weekend to dry. We added Peter and they were complete. 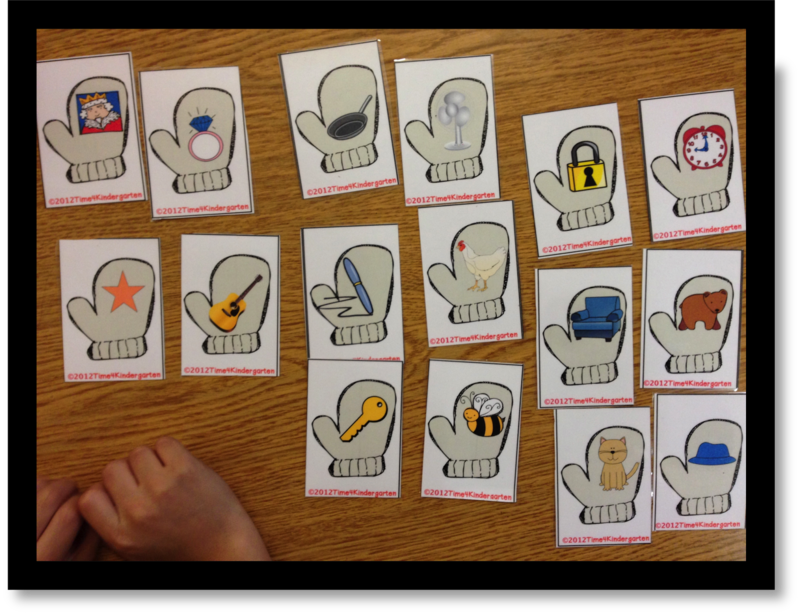 We've been working on rhyming so I added my rhyming mitten set to my Literacy Work Stations. 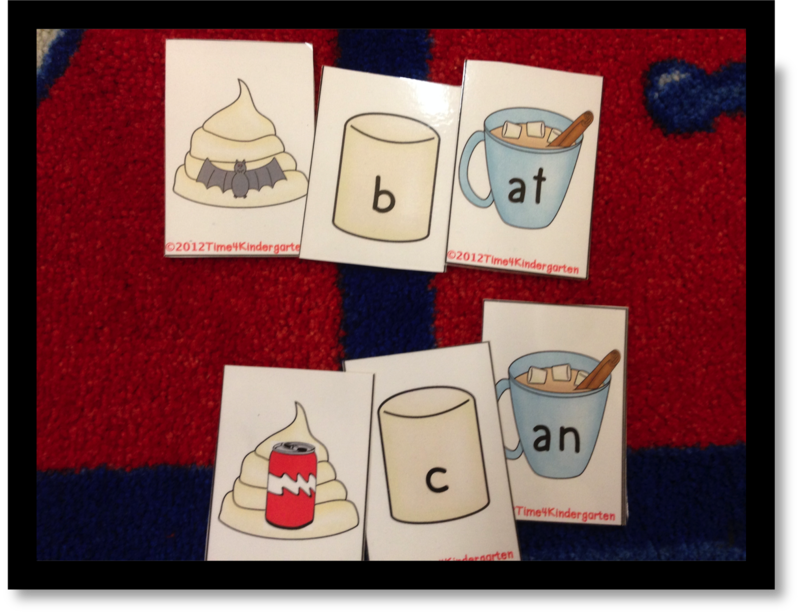 We've also been working on word families, so these are also in my Literacy Work Stations. 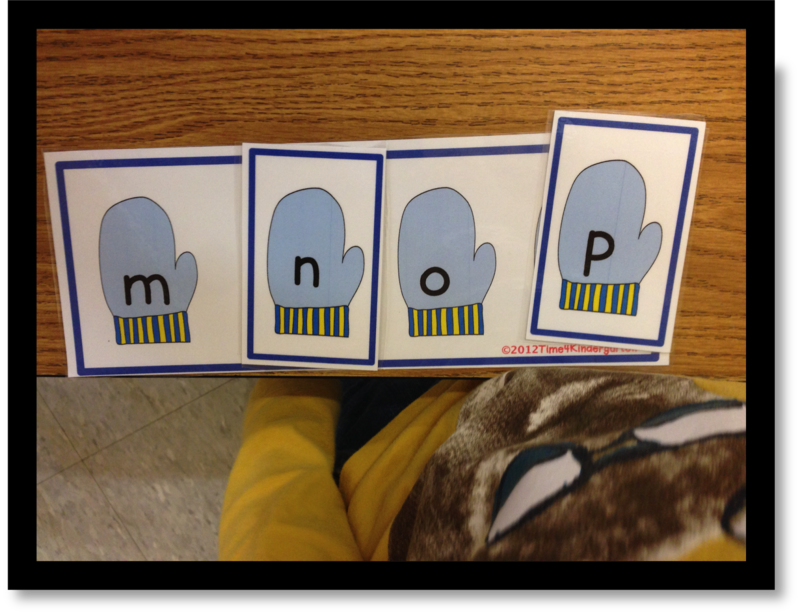 For my little friends who are still working on alphabet recognition, they were working with these cards during Literacy Work Stations. This week we will continue our study of Penguins and begin to learn about Polar Bears. I'll more to share in a few days. Until then, hope your week is great!